Hope everybody is busy and enjoying in your kitchen making delicious sweets and savories for Diwali Festival.. Wish you all Advance “Happy Diwali “. This year I am not making much as I am committed with few other works. Here are some sweets and savories which I made for last couple of years for Diwali. Coming to the recipe..we love pasta in all ways both in sweet and savory. 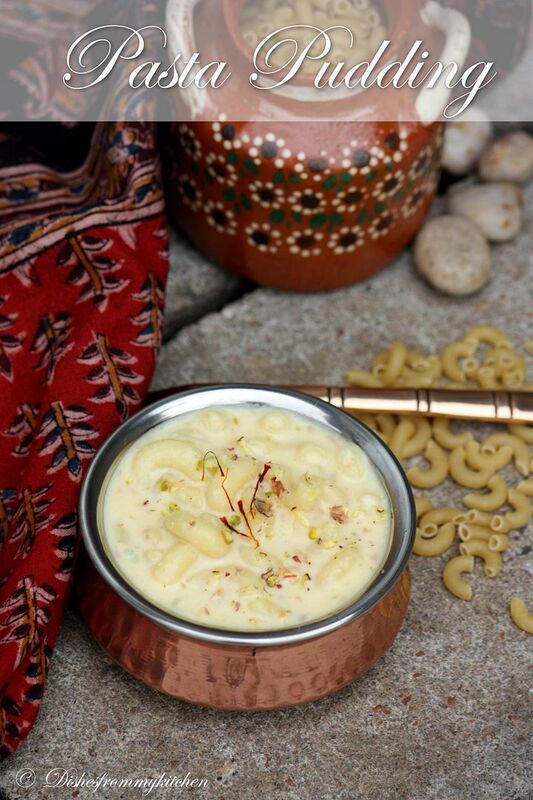 This creamy rich pasta pudding/kheer tastes heavenly with lovely fragrance of cardamom, saffron and nuts. You can savor these both the ways hot or cold. Both taste extremely delicious. Do try it out and have safe Diwali. 1. Cook pasta in boiling water until 3/4 is done. 2. Parallely boil the milk and stir it once in a while to avoid scorching. 3. Once the pasta is cooked 3/4th drain and add them to the boiling milk. 4. Let pasta cook for some time (1/4 has to be cooked in milk now). 5. When pasta is cooked (here the pasta need not be aldente), add the condensed milk. 6. Once it comes to boiling point again, mix the corn flour separately in a bowl by taking little milk from this. 7. Now add the corn flour to the milk pasta mixture. It thickens little bit. 8. Put off the flame. 9. Add the cardamom, crushed saffron strands. 10. Heat the clarified butter/butter in a small pan, roast the chopped cashew nuts. 11. Add it to the pudding now. 12. Garnish with chopped pistachio serve cold or hot. Enjoy the creamy rich pasta pudding!!!! Try using small size pasta, big ones does not taste good. Choose any of your favorite shape. 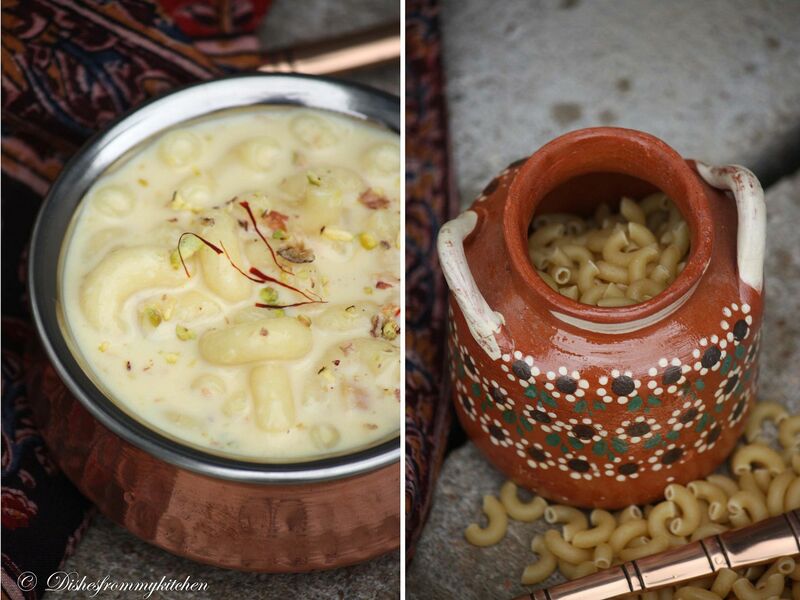 had never seen kheer made with pasta! looks creamy and delicious. Love your food styling girl and Happy Diwali to you too! my maa used to make this when we were kids. looks wonderful. Feel like finishing that whole bowl,super tempting and inviting.. Delicious and creamy looking recipe. Verrrrry innovative......absolutely new recipe......looks very delicious. 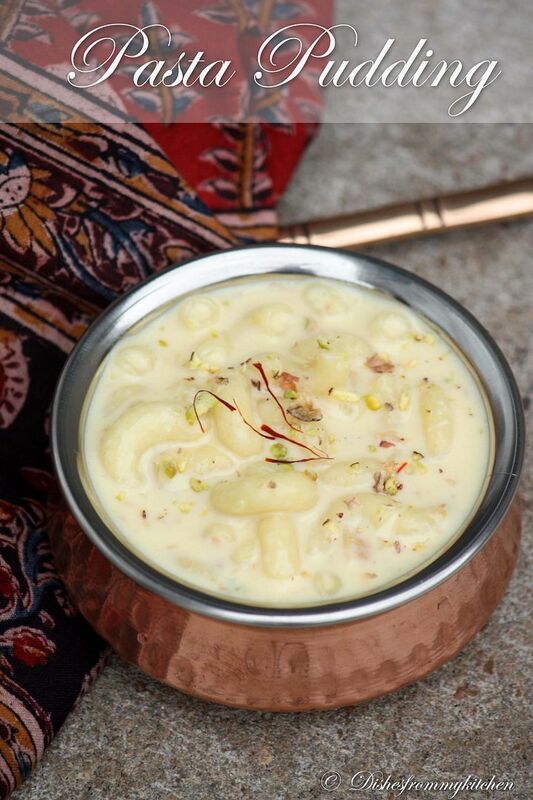 interesting n very innovative kheer..its very delicious n creammy! 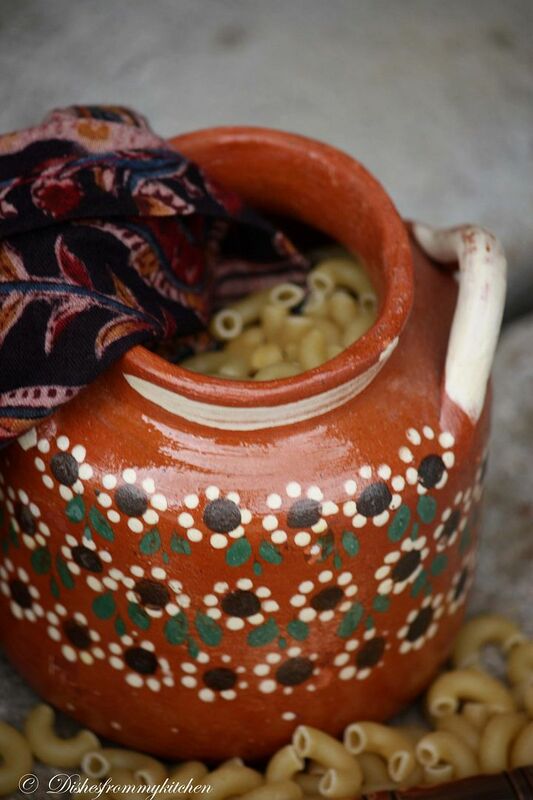 Yummy...with that saffron & pistacios infusion..
Luv the earthen pot,with beautiful painting...I am impressed with pasta in any dish.. Very innovative recipe, this looks wonderful! 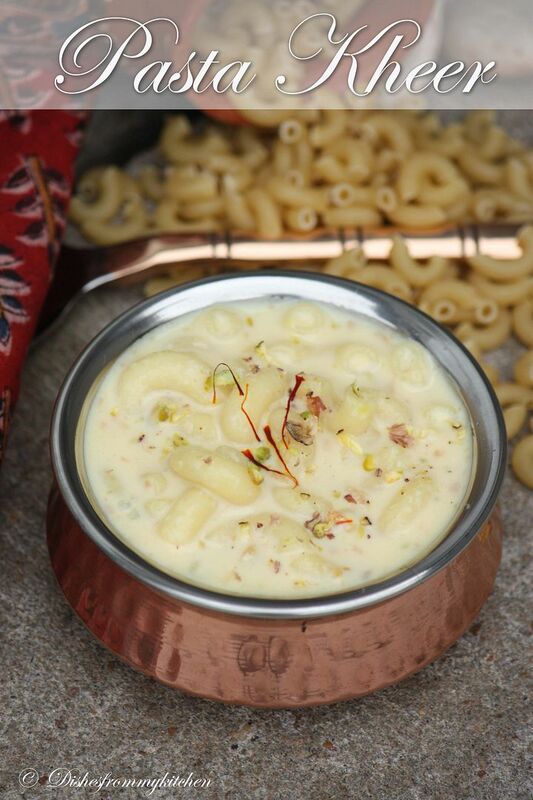 Yumm Pasta Kheer Dear.Luv the recipe and presentation too.Luv it. This is gorgeous.. love your presentation and clicks!! I had never thought of making sweet pasta, that's very interesting! As always, your photos are amazing! Happy Diwali! Yummy! Yummy Even my daughters will have this one.